Bere Ferrers parish is to the north of Plymouth in the county of Devon, on its border with Cornwall and has a population of approximately 3,180. 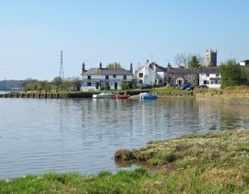 The parish consists mainly of the small village of Bere Ferrers, on the banks of the River Tavy and the much larger village of Bere Alston. 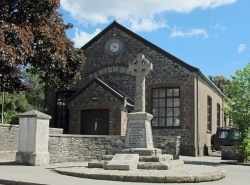 Both are on the Bere peninsula, situated between the Rivers Tavy and Tamar. Also included are smaller areas such as the picturesque boating haven of Weir Quay. This web site is designed for residents and visitors. We hope that you find this site interesting and informative. In bygone days this was a mining community for tin, silver lead ore and arsenic, with much of the surrounding area taken up with daffodil farming and soft fruit, such as strawberries, cherries and grapes. Now most residents work in Plymouth (12 miles away) or Tavistock (6 miles), leaving the countryside around the village to farming and delightful views. Both villages have lively groups and organisations and social activities. Some information on the history of the parish can be found here and the 2009 ward profile here. The Parish Diary page includes events throughout the Peninsula. Please let us know if you have an event you would like publicised. This will also help avoid clashes of dates.